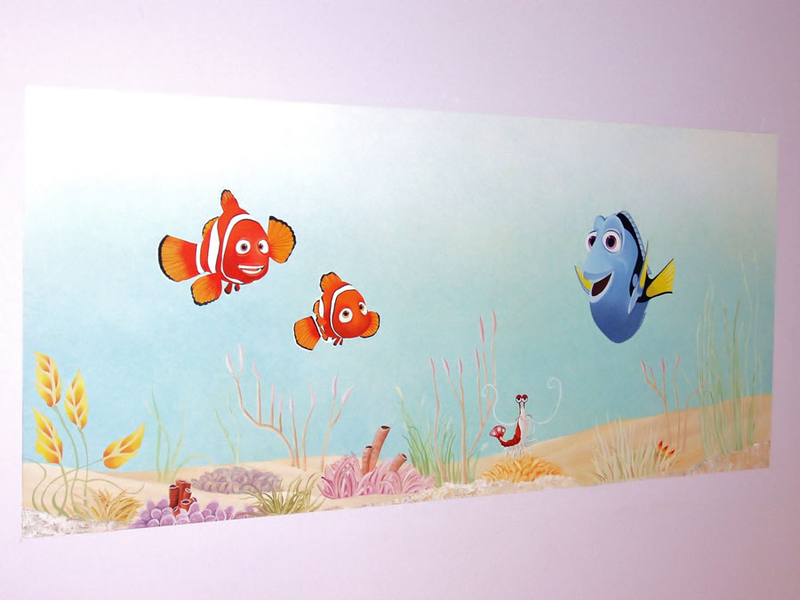 For this hand painted nursery mural I created the illusion of a tropical fish tank inlayed into the wall with characters from ‘Finding Nemo’ . 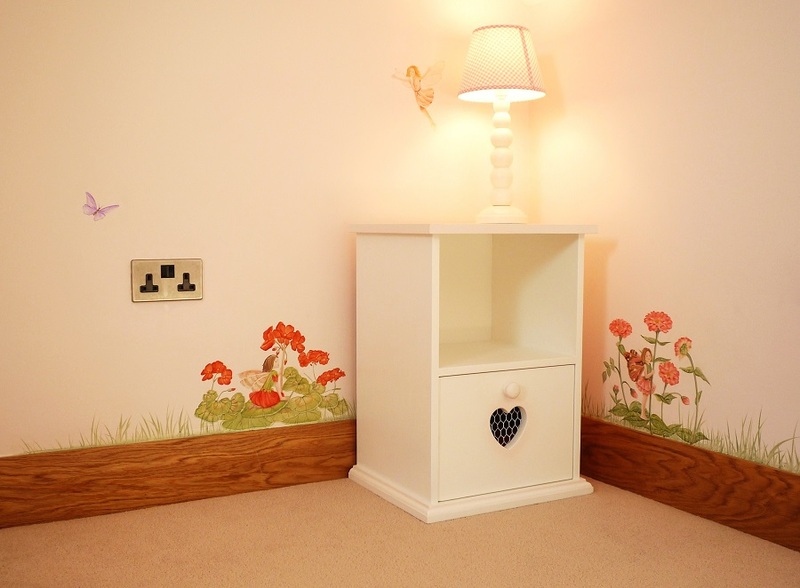 It was for a newborn so the client wanted a mural that was bright, simple and could easily be added to over the years. 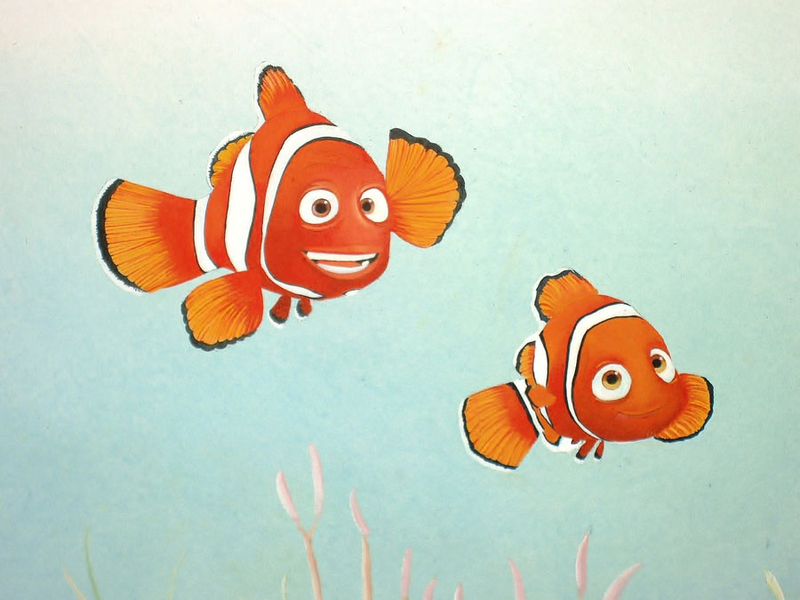 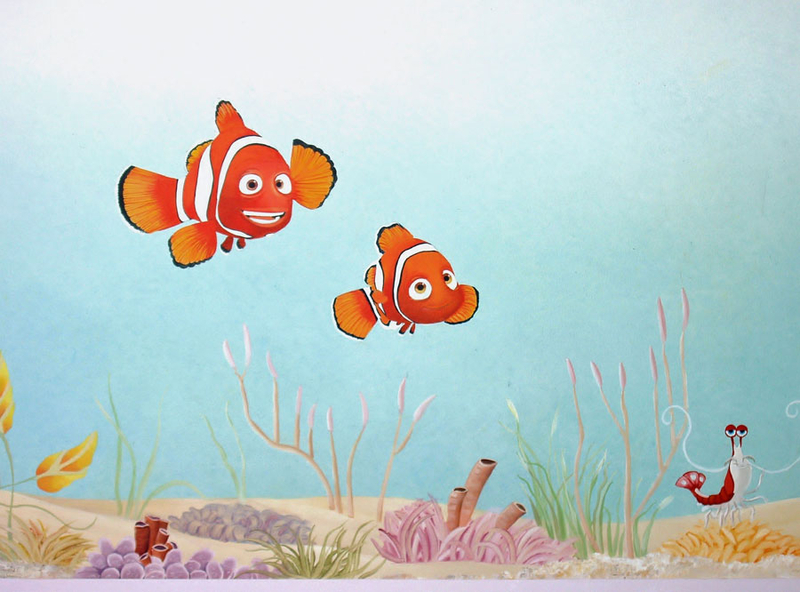 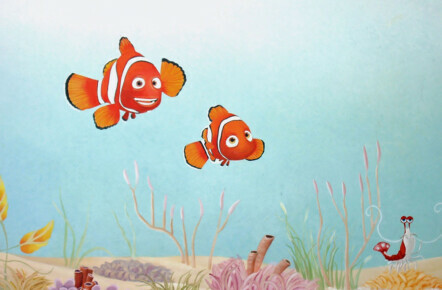 The ‘tank’ measured around 5’x2′ and incorporated many of Finding Nemo’s most popular characters, each painted in great detail. 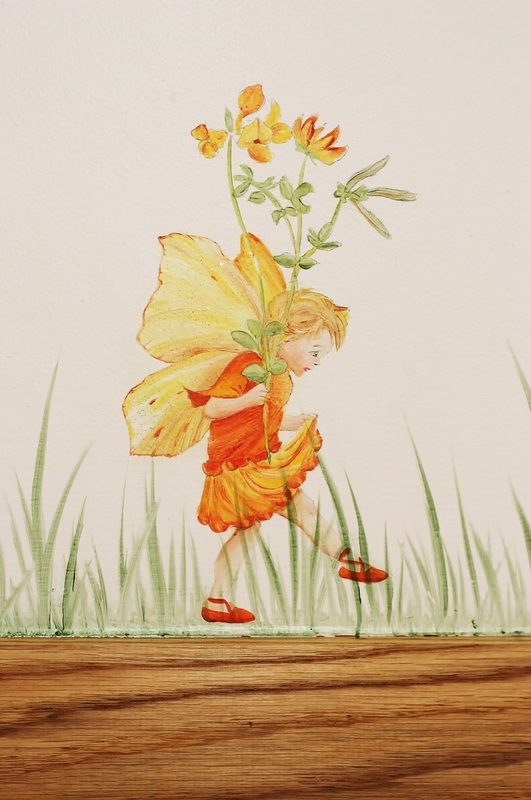 For this hand painted nursery mural I created the magical world of the flower fairy. 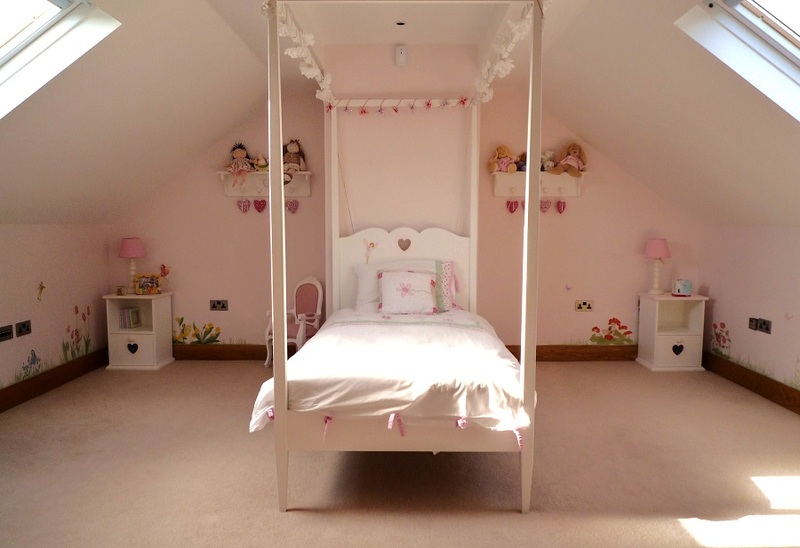 The theme ran around the whole room and was at ‘baby height’ so the little girl could enjoy it at her level. 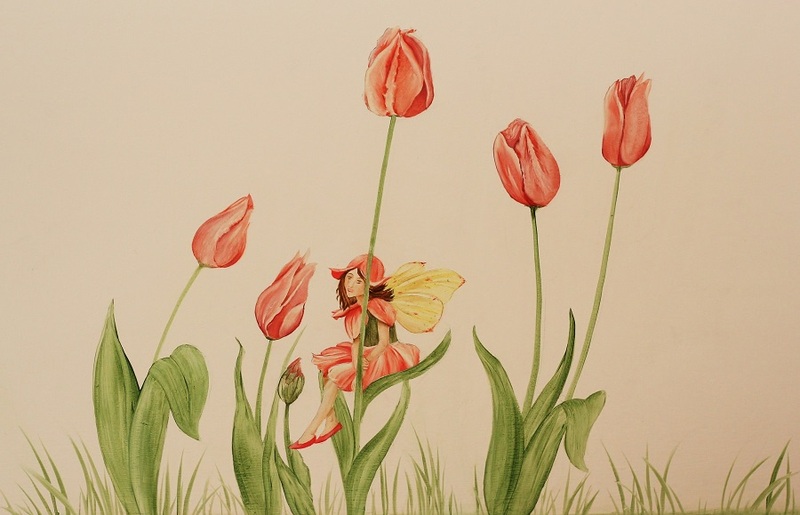 For weeks after it was completed she would kiss each of the fairies in turn before she went to bed. 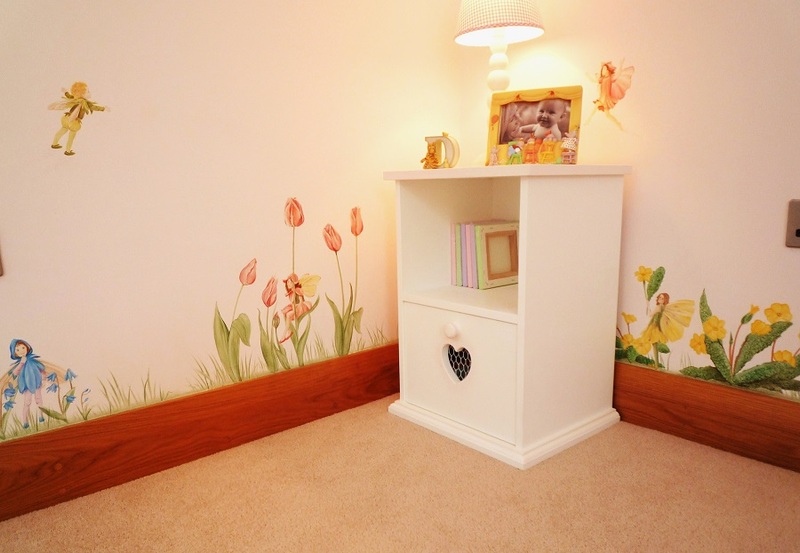 Over the years this childrens mural has turned out to be one of the most popular ones I’ve ever done.